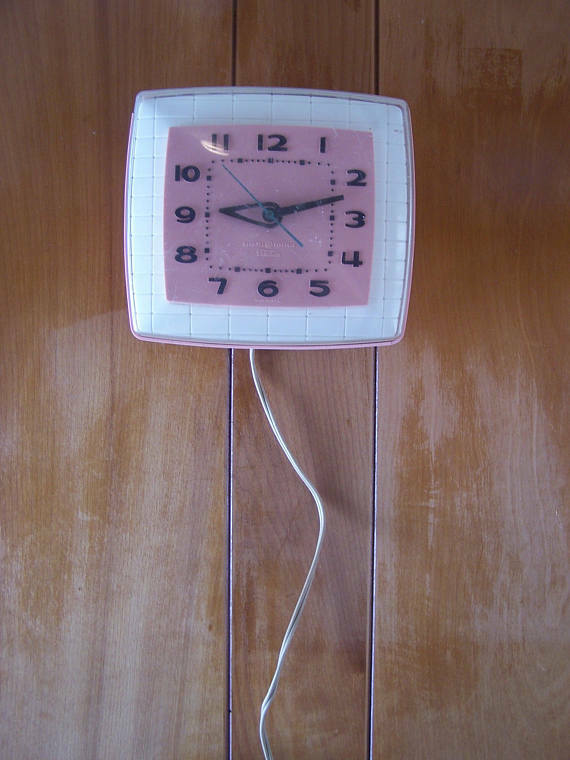 If you’re a vintage lover, it makes sense that vintage would find its way into multiple areas of your life: your clothing, your style, your car… even your home. 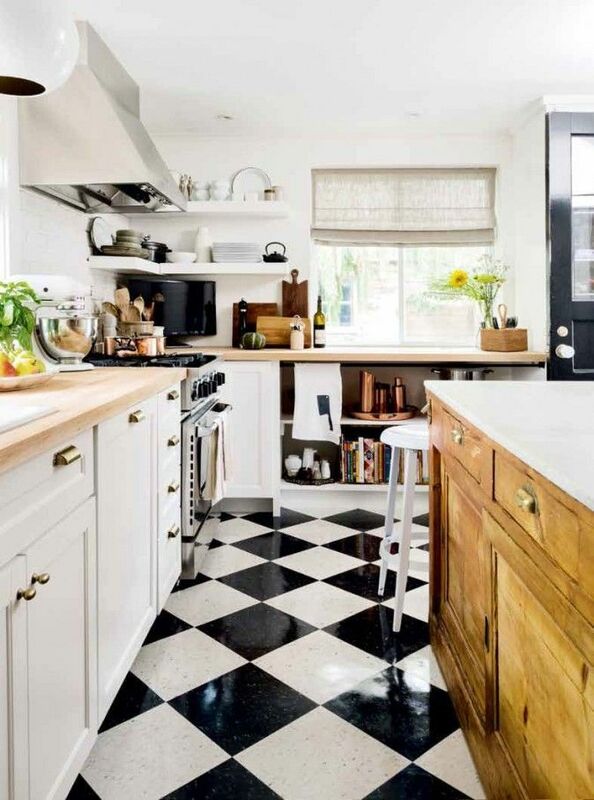 And there’s no better room in your home to incorporate vintage themes than your kitchen. 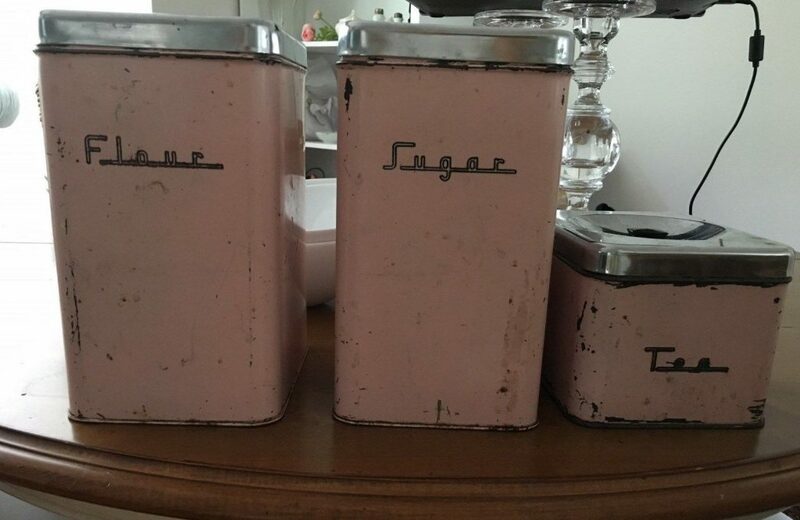 A retro kitchen – complete with vintage kitchen decor – is the stuff vintage lovers’ dreams are made of. 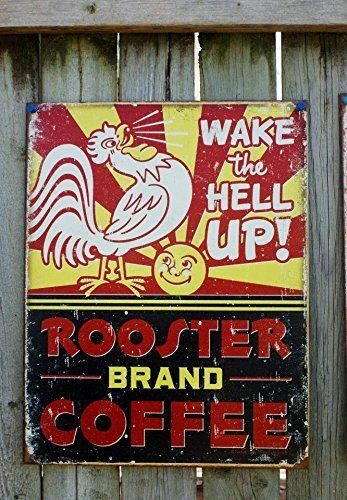 From the kitschy diner-like decor of the 50’s to retro kitchen appliances to bakeware to vintage aprons, there are so many opportunities to incorporate a retro vibe in the most trafficked room of your home. 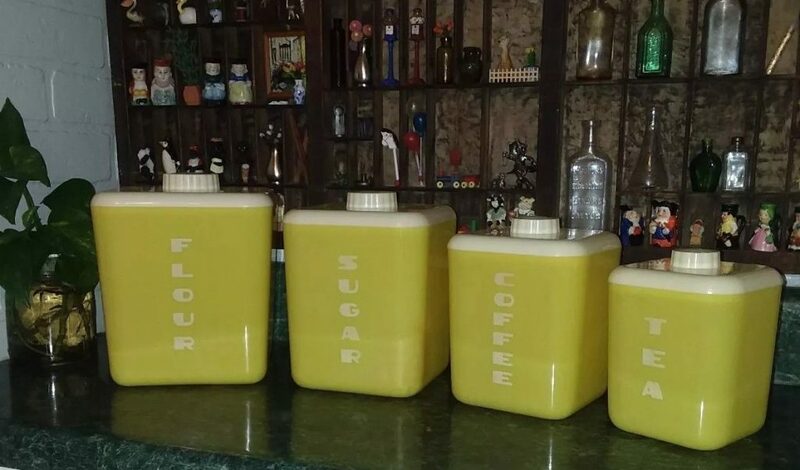 But what are the elements you need to build a vintage kitchen? 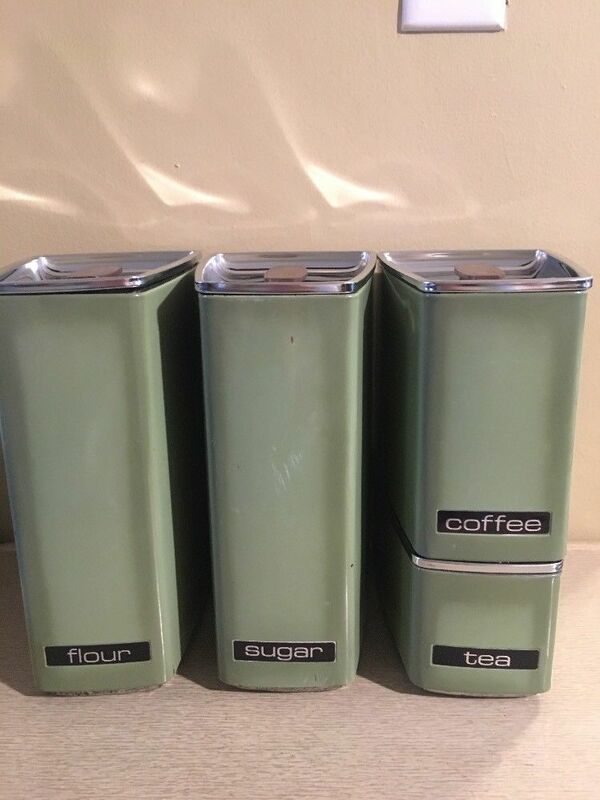 What retro kitchen decor do you need to complete the vintage look? 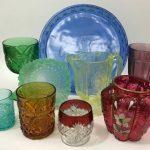 What kinds of items should you be scouring estate sales and online auctions for? 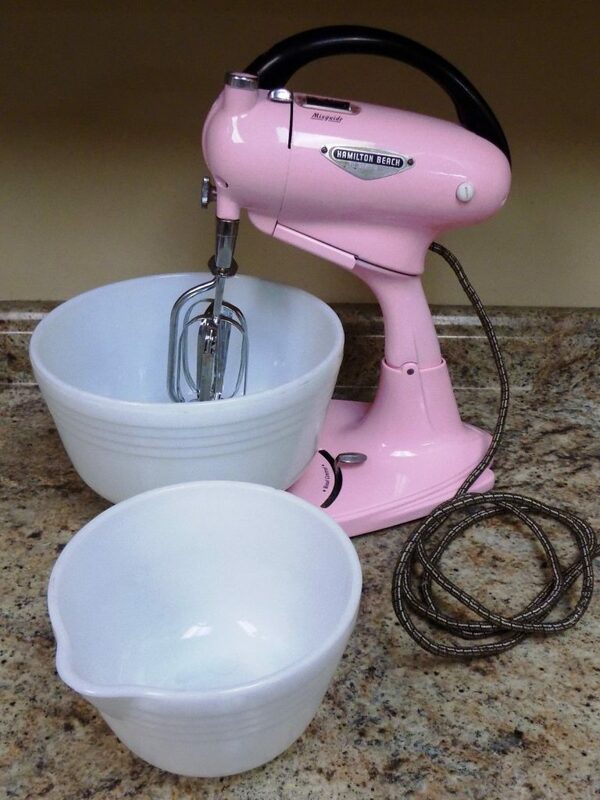 The first step to building the retro kitchen of your dreams is finding the right appliances. There’s no room for stainless steel and high-tech gadgets in a retro kitchen – a vintage kitchen is all about classic appliances that are just as quirky and visually interesting as they are functional (and if you can’t like without your Keurig, at least hide it in the cabinet). 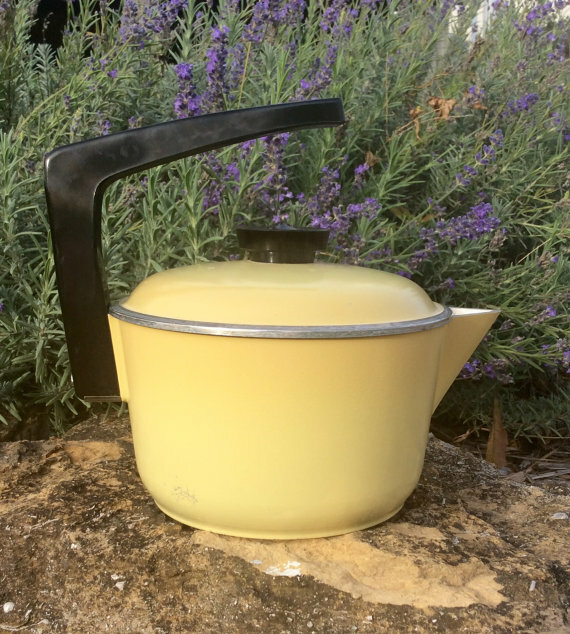 The key characteristic of retro kitchen appliances? Color. 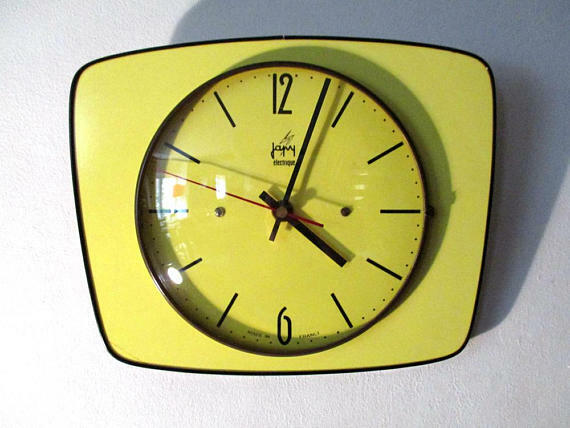 Originally, most kitchen appliances were a standard white, but the 1950’s saw a major introduction of color into the kitchen appliance world, with colors like Canary Yellow and Cadet Blue popping up in kitchens across the country. 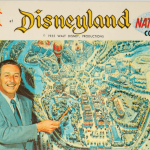 The color trend continued in future decades, with additions like Copperton and Turquoise Green in the 1960’s and Poppy Red and Avocado in the 1970’s. 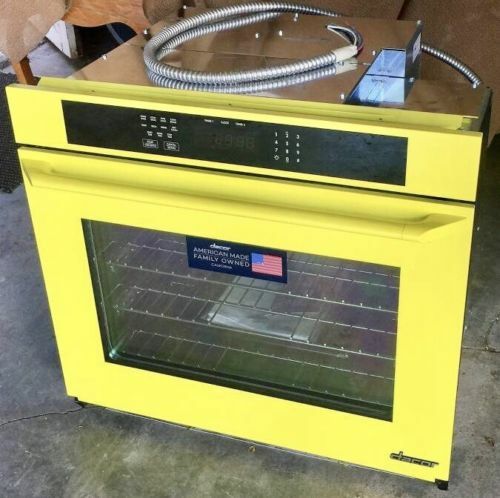 The colored appliance trend was still popular in the 1980’s, but started to die down later in the decade and move back towards standard white. 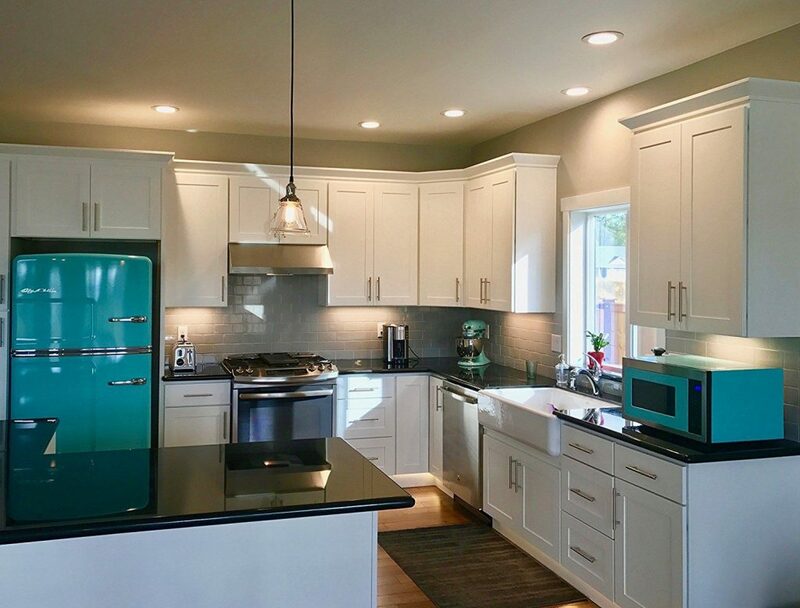 Today, most appliances are either white or standard steel, so if you want to build a truly vintage kitchen, it’s all about color in your appliances. 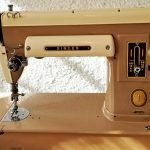 Now, let’s be realistic – as much as you want your appliances to look vintage, you want them to function properly, so in this case, you might want to buy a new appliance styled to look vintage (trying to get a stove from the 1950’s to bake at the right temperature sounds like more hassle than it’s worth). Once you’ve got your appliances in place, it’s time to move on to decor. 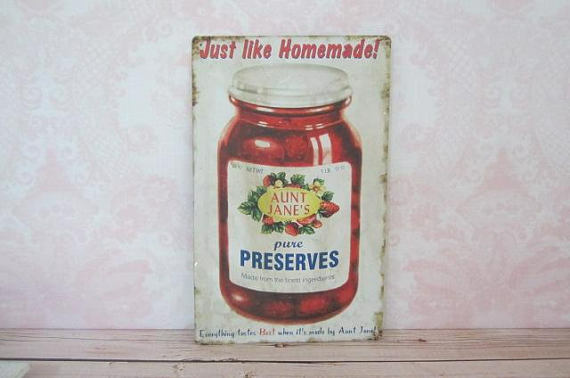 There is a few different directions you can go when it comes to vintage kitchen decor. 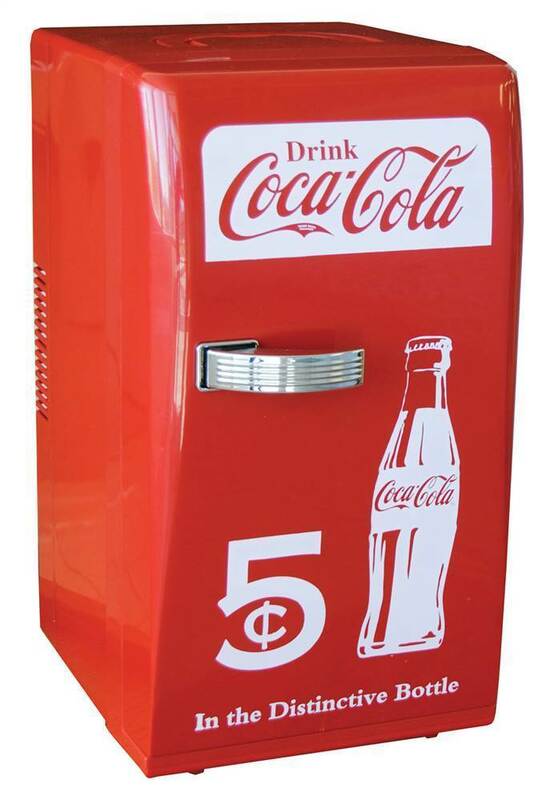 The first is to stick with the colorful theme created with your appliances. 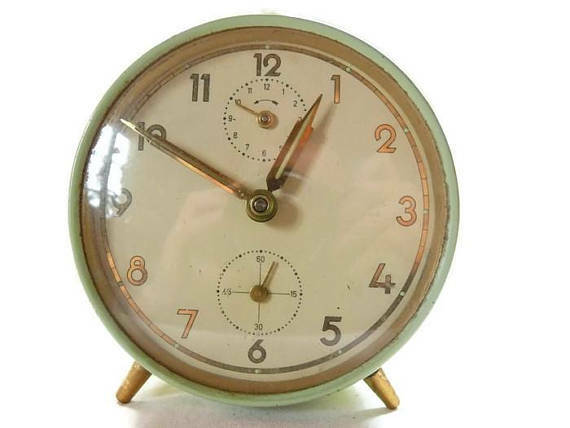 Choose a few complimentary colors – like pastel blues and greens – and look for accessories and decor to match, like salt and pepper shakers, vintage clocks, and canister sets. 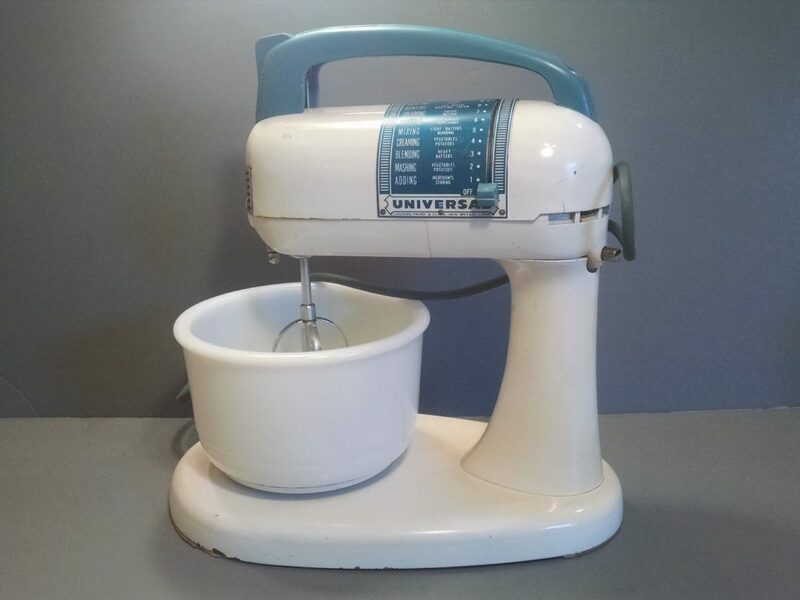 You can even get things like stand mixers to display on your counter in the vintage color of your choice! 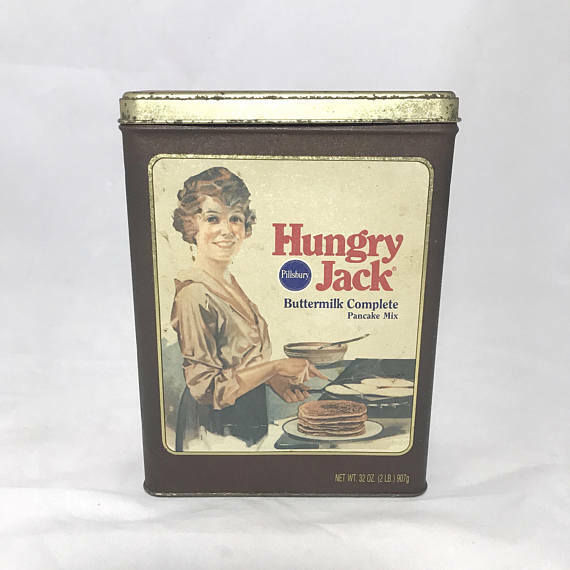 Another direction you can take is what we like to call the “retro diner vibe.” Think black and white linoleum floors, vintage signage, and items you would typically find on the table at your favorite old-time diner, like straw holders or sugar and napkin dispensers. 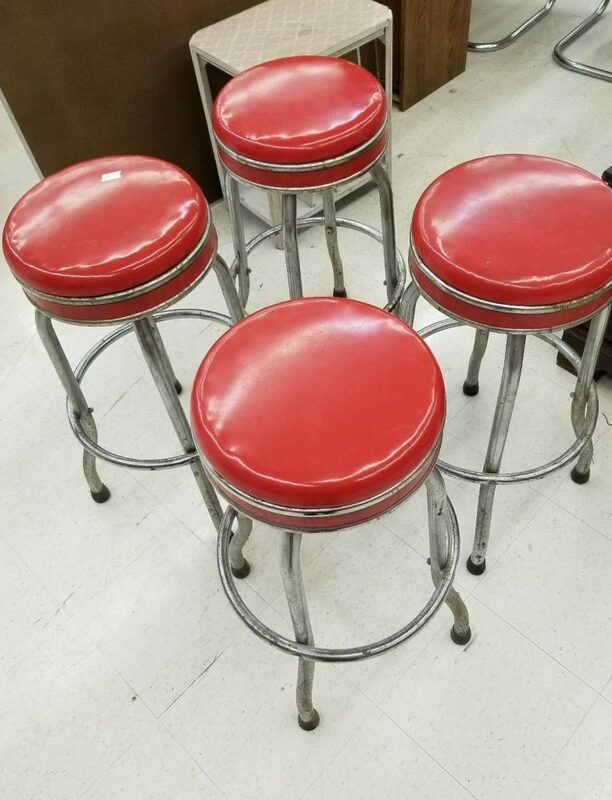 You could even use diner-inspired chairs or stools at your table! Just as important as how you dress your kitchen is how you dress yourself. 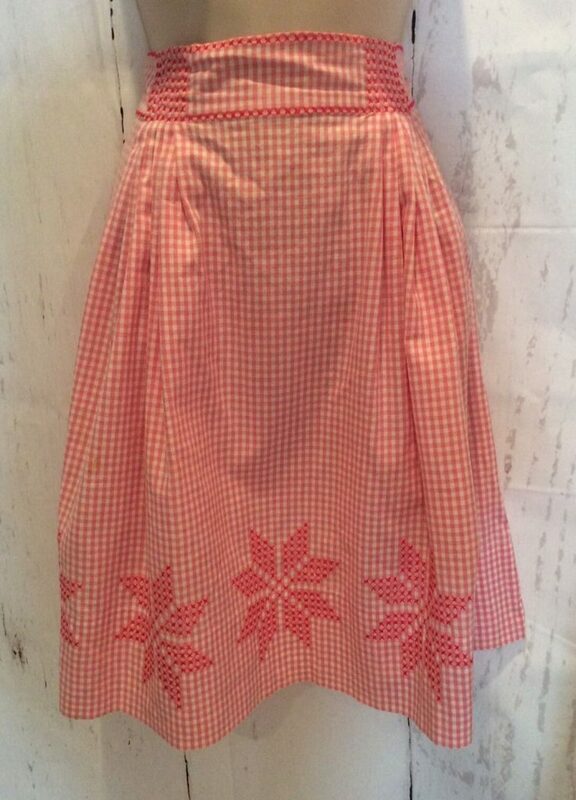 No vintage kitchen would be complete with a vintage apron to match! 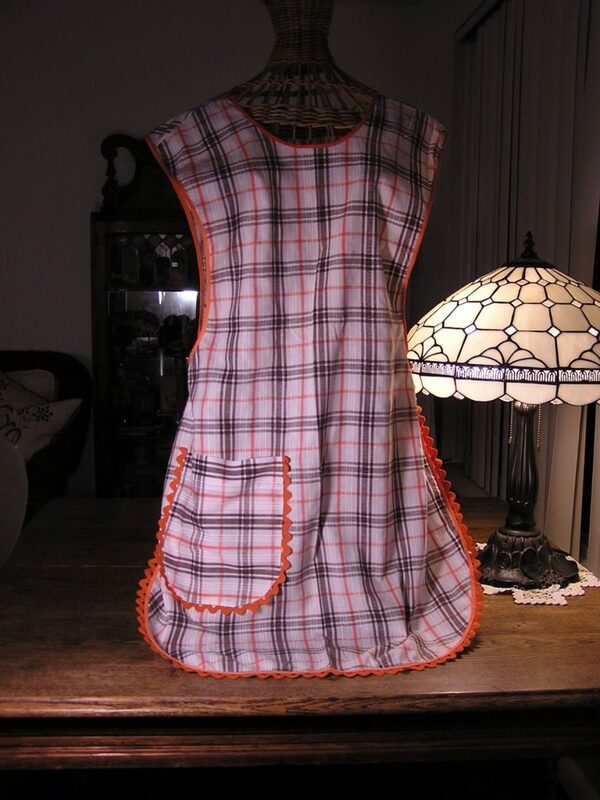 While aprons date back as far back as the 16th century, it wasn’t until the 1940’s that they become the cultural icon of the housewife in America. Following the war, Americans were in desperate need of a stable home life, and the apron came to signify home cooked meals, family togetherness, and stability. 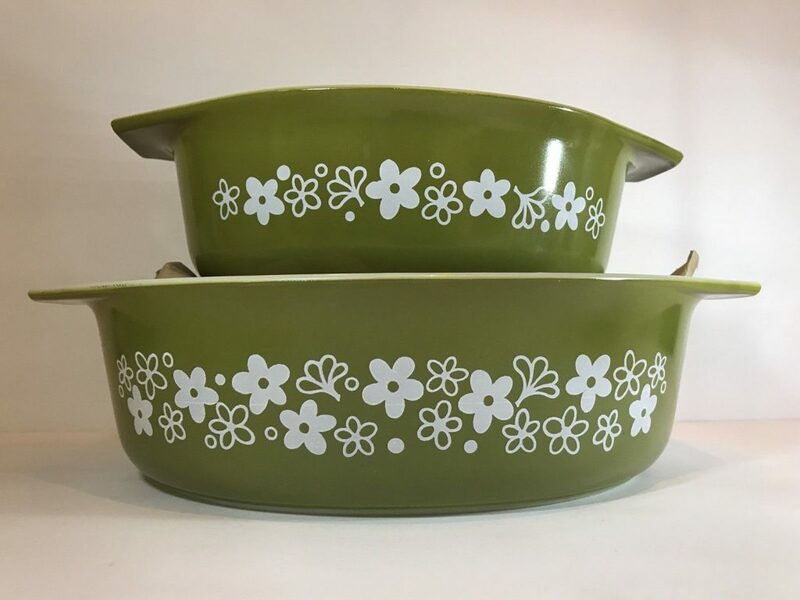 This trend carried on through the 1950’s and 1960’s, with a variety of styles making their way into kitchens, including kitchen-inspired patterns, seasonal themes, plaids, simple aprons for everyday cooking and more elaborate frills and ruffles for entertaining. In recent years, as vintage and retro trends have come back into style, the apron has seen a resurgence in popular with home cooks. There are plenty of “retro style” apron sellers on the market, but finding an authentic vintage apron will add a level of authenticity to your retro kitchen. 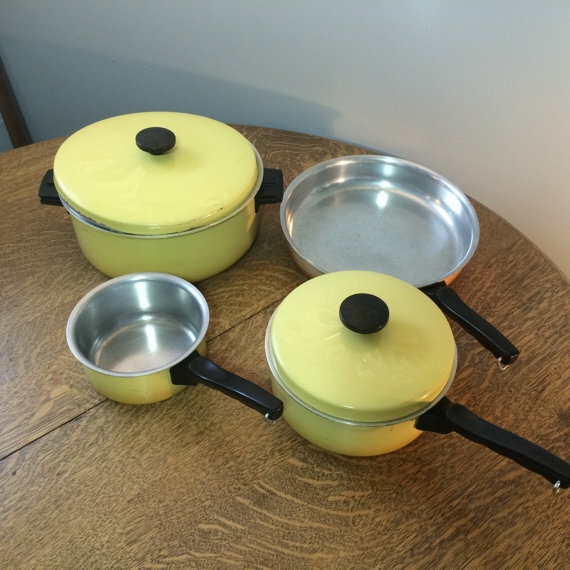 The last must-have piece for a vintage kitchen is some vintage cookware. 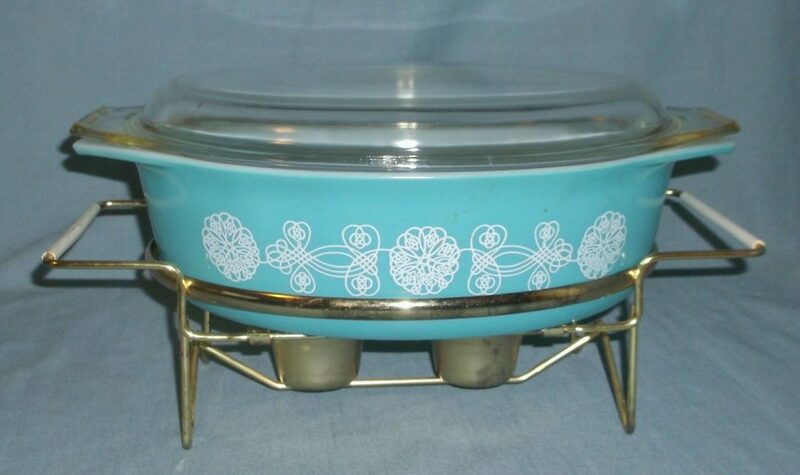 And just like everything else in the retro kitchen, vintage cookware is all about color. 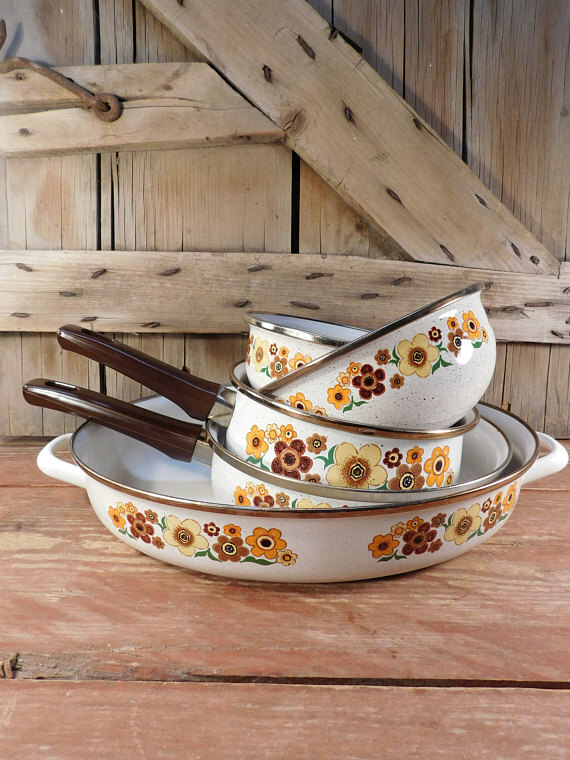 Vintage cookware – everything from pots and pans to mixing bowls – comes in a variety of colors, patterns, and finishes. 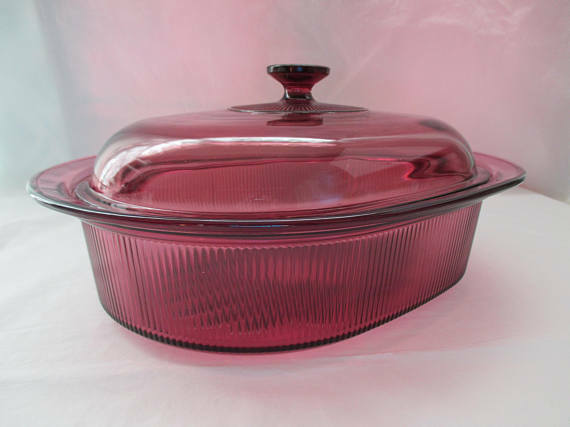 Perhaps the most popular vintage cookware for collectors is Pyrex. 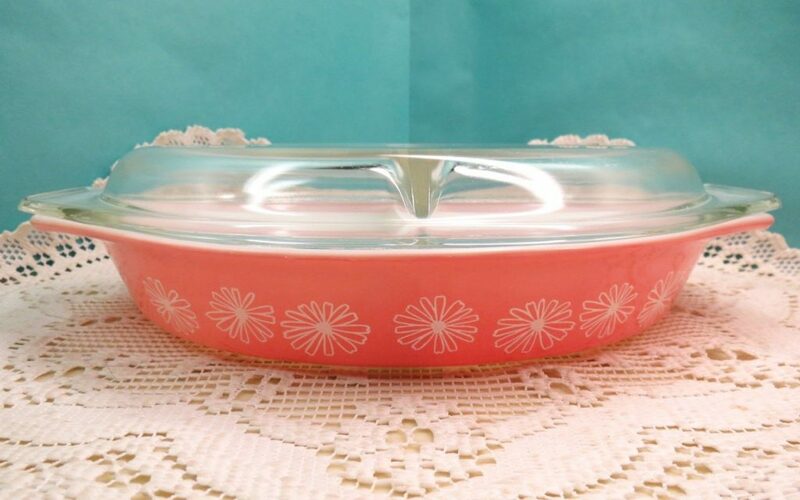 Vintage pyrex from the 1950’s, 1960’s, and 1970’s is known for its bright colors, intricate patterns, and rabid fan base, so if you can get your hands on a piece or two, your vintage kitchen will be the envy of collectors everywhere. 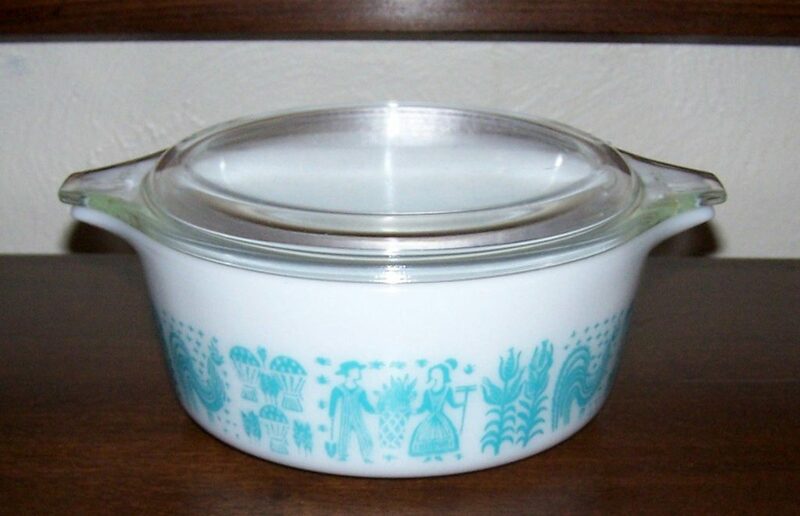 But if you can’t find vintage Pyrex, don’t worry! 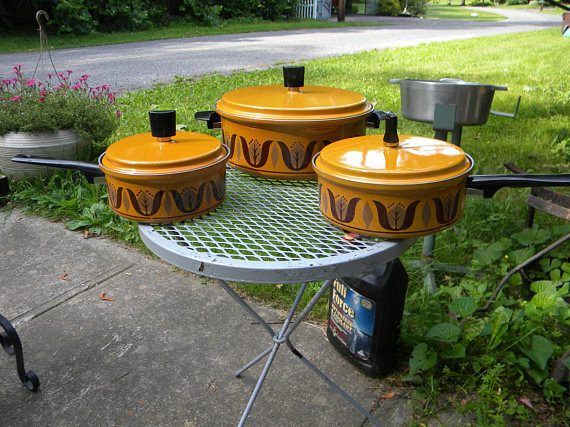 There are plenty of colorful vintage cookware options to add to your kitchen. 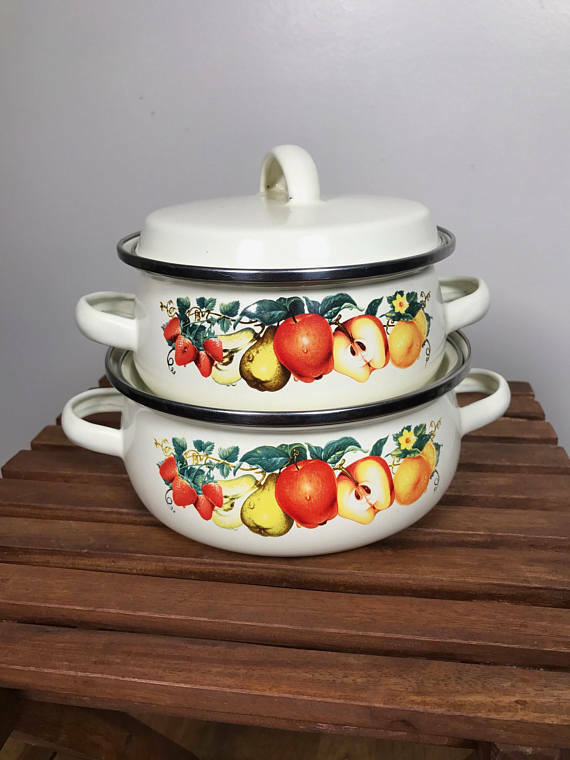 Now that you know all the pieces you’ll need to make your dream vintage kitchen a reality, it’s time to get out there, start shopping, and start cooking up the perfect retro kitchen!